Back in 1960, when art director M. K. Syed built the grand replica of the Sheesh Mahal for K. Asif’s Mughal-e-Azam, it took him a painstaking two years. The making of that set is still the most talked-about event in Bollywood history, and the movie is a template for every art director looking to break ground in the realm of period sagas. Today, over-the-top productions in Hindi cinema are alive and kicking, going beyond myths and legends to include family dramas. 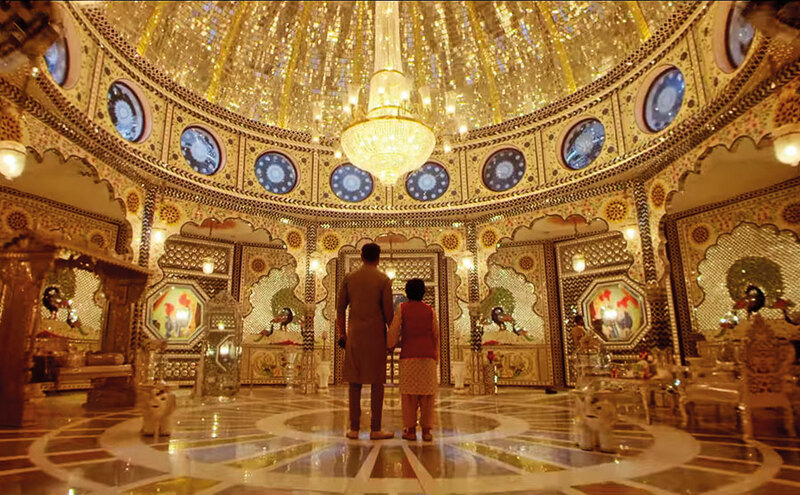 In 2015, two movies attempted and succeeded in recreating the Sheesh Mahal. 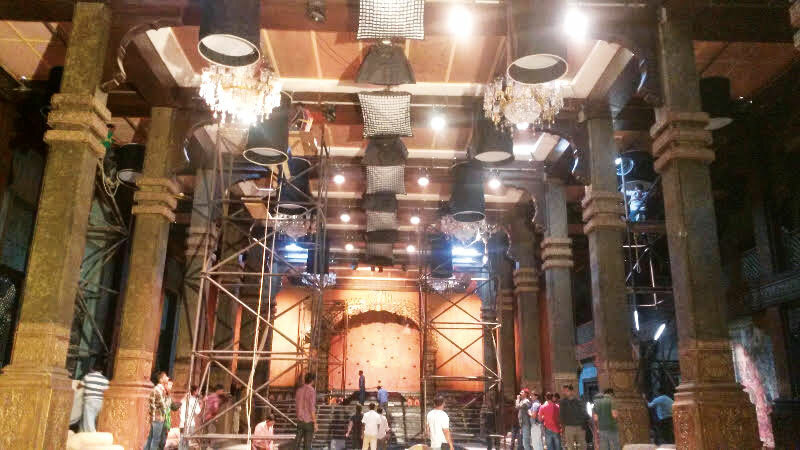 Prem Ratan Dhan Payo (2015) boasts one created by production designer Nitin Chandrakant Desai. Bajirao Mastani’s (2015) Aaina Mahal took 45 days to build. 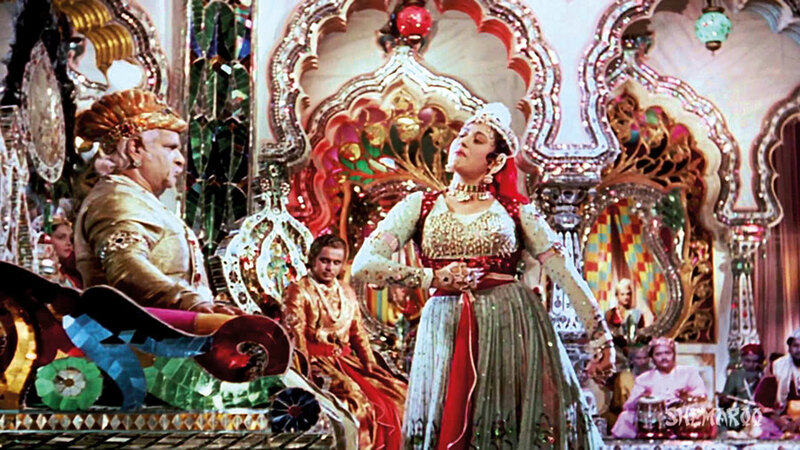 Saloni Dhatrak, one of the three art directors who worked on the film (the other two being Sriram Iyengar and Sujeet Sawant), recounts the time when she was assisting Desai on Jodhaa Akbar (2008) and a similar feat was attempted: “We were planning to work on the mirrors authentically,” she says. “We got mercury balls from Rajasthan which we broke to get concave mirrors. The whole process involved immense wastage of material and labour. Budget constraints made us abandon that project. 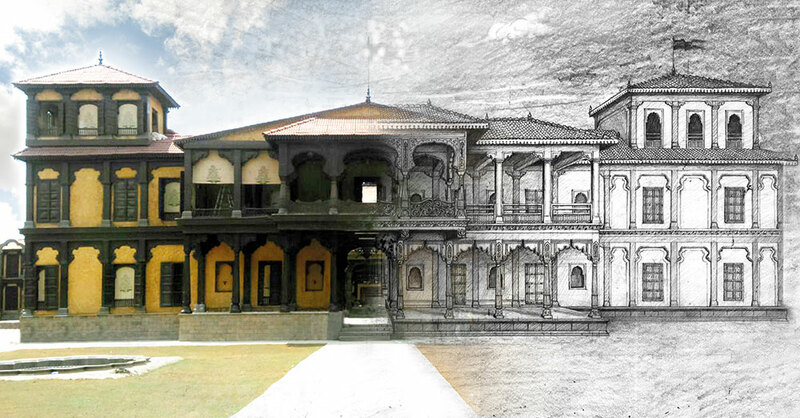 The Aaina Mahal in Bajirao Mastani was fashioned with laser-cut acrylic mirrors to quicken the process.” Coincidently, both art director and assistant went on to create what they had sought to in the same year. 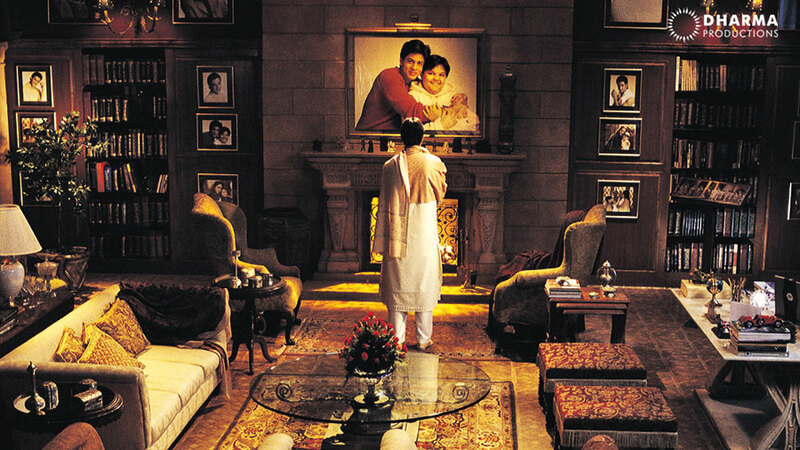 For Johar’s Kabhi Khushi Kabhie Gham…(2001), Sharmishta Roy, daughter of renowned art director Sudhendu Roy, was roped in to create Delhi’s Chandni Chowk in Film City, Mumbai. 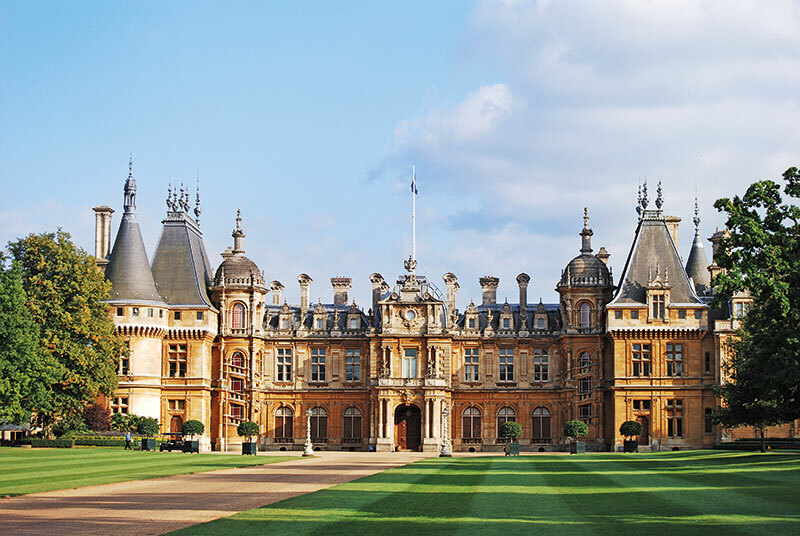 The interiors of the Raichand House were also constructed in the studio, while exterior shots were taken at Waddesdon Manor in England. The audience had no qualms about putting the two together. “We actually hung priceless, original artworks on the walls and had round-the-clock security on set to protect them!” claims Roy. “As for shooting in Chandni Chowk, three factors tipped the scales towards building a set — a hundred-strong crew on location, the requirement of a large space for the dance sequences, and the need for a more sanitised environment to match the rest of the film.” Roy won a National Award for this film. When she worked on M. F. Husain’s Gaja Gamini (2000), Roy’s job included not only interpreting the director’s vision but also his artworks. “Mr. Husain’s paintings were the blueprint for the art direction. The challenge was to convert his two-dimensional images into sets with accurate scale and depth, and to ensure that the enchantment, colours and technique that he used to create his paintings were reproduced. I got to witness first-hand the coming together of two mediums — fine art and cinema. It was simply sublime,” she gushes. One of the oldest doyens in the business, Dasgupta has worked on a number of projects with Shekhar Kapur. Who can forget the endearing home in Mr. India (1987)? Or the legendary lair of Mogambo? The house was built from scratch in Versova with a backdrop of fish set out to dry. The latter was a large chamber with no hint of colour and a pool of lava in the middle. “Shekhar wanted all his characters to have a comic-book quality. Mogambo is a man who wanted to conquer the world. There was nothing feminine around him — no paintings, photographs or any other personal touch. Everything had to be metallic, hard and barren. The throne was also very simple. The brief was clear — nothing should take away from the character,” he elaborates. 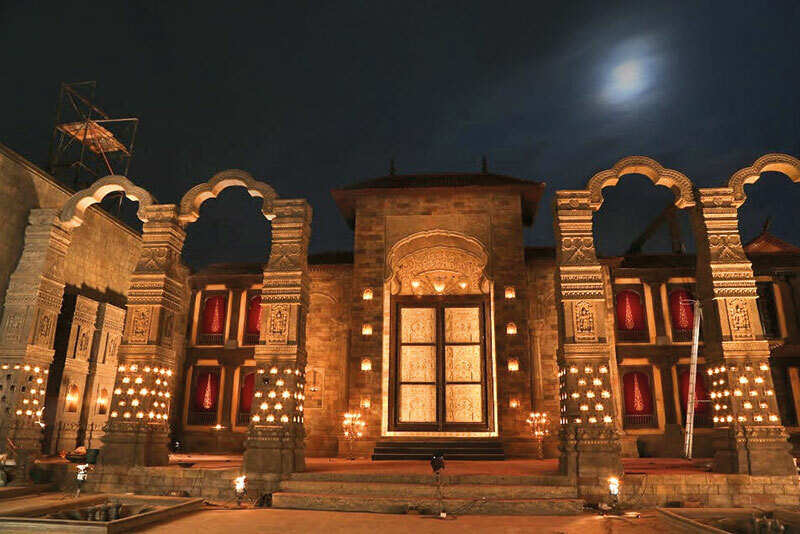 Working alongside Johar and Aditya Chopra was Sanjay Leela Bhansali, whose sets have a visual appeal akin to no other. So powerful is his vision that the audience willingly suspends disbelief and accepts that peacocks do flit around ponds in quaint homes. He has worked extensively with Desai, and their work encompasses Khamoshi: The Musical (1996), Hum Dil De Chuke Sanam (1999), Devdas (2002) and Goliyon Ki Raasleela Ram-Leela (2013). Bhansali is now on to his next period drama Padmavati, which promises to be another marvel, thanks to art directors Amit Ray and Subrata Chakraborty who have previously worked together on Haider (2015), for which they picked up numerous awards. Art directors often use professional hacks to communicate their vision. Adding layers by means of corridors, hallways and artefacts makes any place look much larger than it is. Affluence is conveyed in the form of paintings and portraits — think the McNally home in Black (2005) by Omung Kumar. Initially, most films were shot in studios. The large temple in Hum Aapke Hain Koun…! was erected in Mehboob Studios. So impressive was the composition that a team from one of the biggest business houses in the country was sent to study it for their temple structures. 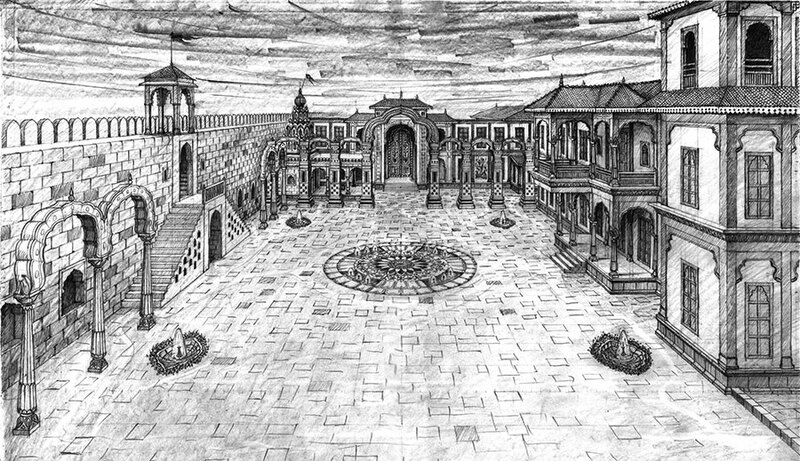 Every portion of Mogambo’s lair was created in R. K. Studios — the entrance, the fortress, the canal. The economy of sets was popular practice. They were refurbished, repainted and reused. Subhash Ghai was considered a master of such sets. The prison in Khalnayak (1993) was later transformed into a house. Nowadays, a portion of the sets may be constructed but the rest is shot on location. In Baahubali: The Beginning (2015), a major part of the film was shot near a waterfall. Sabu Cyril, art director of S. S. Rajamouli’s magnum opus, revealed in an interview, ‘We shot in Kerala, and recreated eight portions of the waterfall at Ramoji Film City in Hyderabad.’ Sometimes, what cannot be shot on location or is too tedious to build is supplemented by computer graphics. This is a common trick especially useful in war sequences. Multiplying the number of soldiers and weaponry is an easier way to upscale a battle. With the rising cost of labour and preference for VFX, one can see the art of elaborate productions on a gradual decline. “Film shoots are like wars. One needs to have a strategy in place to combat unfavourable developments and risks need to be mitigated as early as possible,” said Roy. When put like that, it’s not difficult to envision the Herculean effort that goes into designing a set.